In 2006 he graduated from the Veterinary School of the Aristoteles University of Thessaloniki. As a student he worked in a large private clinic in Thessaloniki. After having finished his studies he stayed at the university and further trained at the Department of Surgery where he graduated with “Excellent”. He then went abroad to study further and on a much higher level in the field of surgery, getting accepted at the Academic Clinic of Vienna, Austria. 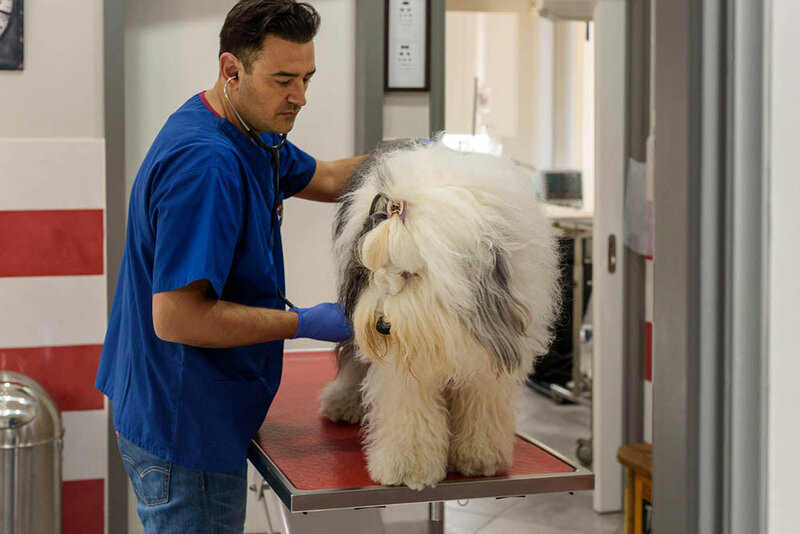 In 2009 he and his wife decided to set up their own private veterinary clinic in his beloved town of Kalamata. Two years later the two of them set up a second clinic in the Mani peninsula. Kostas’ passion has always been and will remain soft tissue and orthopedic surgery. He has taken part in many seminars held abroad as well as in Greece, always aiming to keep evolving in this field. While training further he has worked with clinics in England and Italy. He is a member of the Royal College of Veterinary Surgeons as well as of the Greek Veterinary Orthopedic Society and the international organization AOVET (osteosynthesis association). In 2017 Kostas was accepted at the Luxemburg University for the development of his Master studies in the field of surgery and especially orthopedic surgery, frequently visiting seminars in university clinics around Europe, his goal being to receive the title “Certificate in Advanced Veterinary Practice (Orthopedics)” which is considered the highest distinction in veterinary medicine in Europe. Sports and in particular swimming is Kostas’ hobby, so is cinema and reading about his professional subject. But his family always comes first: his wonderful wife Lena and their little son Georgios. Kostas is also the happy “dad” of Lazaros (Shih Tzu dog), Melek and Virginia (two previously stray cats), and of Blanco, a white canary he saved from the street.